As senior students taking up literature as a major in graduate and post-graduate level courses, literary criticisms are a necessary part of the evaluation. Through this, the aim of the reader is to gauge the level of your understanding of a work of literature. Literary criticism involves critiquing and presenting your evaluation of a literary work. It may be concerning the whole of the work or a part of it.Our essay writing service offers custom papers written for individual students in all the fields including Literary Criticism. You can order your paper from the link given. 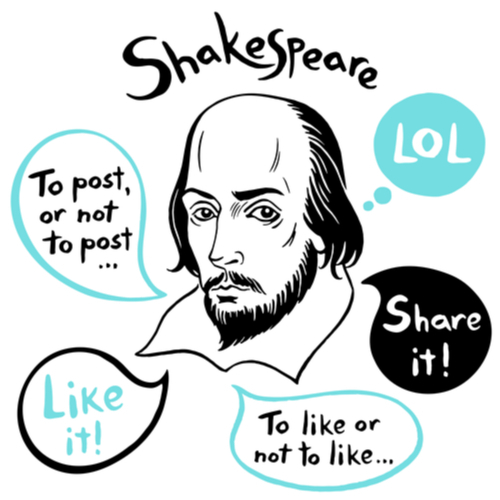 Would Shakespeare approve of the internet lingo? Or would he literally criticize it? The most important aspect of literary criticism, which students need to keep in mind, is that it is a process of “breaking down”. You need to analyze or dissect a particular piece of work into its constituent parts and then you have to make sense of the individual parts. You would then re-state what you have learned and understood; your own insights and views from the analysis and present it in a structured and organized way. The analysis of the different parts of the text or prose or poetry would help you to make better sense of it as a whole. So, when you write an essay which is a literary criticism, it is not just important to break the whole thing down; you need to make sense of it and regenerate a new interpretation of that part and explain it in your words. You can compare the piece of work to existing pieces by contemporary or older authors to determine the differences and advancements in the approach used. Through literary criticism, you contribute novel interpretations of existing texts and you are better able to understand and appreciate the different literary genres. What are the things to be kept in mind when writing a literary criticism? Different kinds of literature may require different forms of analysis. For example, critical evaluation of a poem would differ from that required for a prose, as both are different kinds of works, requiring a different kind of evaluation.The most important part of writing a literary criticism is that you should have a debatable thesis statement. Your thesis statement is an interpretation you have made on a certain work. Your thesis statement needs to be specific and focused; it should not be general or broad-based as it would be too difficult to fairly evaluate such a topic. In the introduction, you would need to mention why you are choosing this particular topic to argue on. You can mention the aspects on which you would focus your criticism and the structure of the criticism. You can discuss with your supervisor before making your choice of topic. A good way to choose your topic is from the literature, which is part of the course material.Your job is to prove why you think your stand is justified or why it is necessary to refute someone else’s stand on a topic. This would be done in the form of arguments. You would need to provide evidence in support of your arguments. For this, you would need to have conducted sufficient search of existing research in this area to find suitable arguments.Some of the different kind of questions you can include in your criticism would include questions relating to style, theme, what are literary devices or symbols used in the text, language, characters and their development, context; the criticism can also delve into the relationships between the context, characters and central idea of the text. You can also bring in mentions of comments made by other authors on the text and other interpretations. All academic assignments and particularly language and literary essays must display the use of high-quality language as well as adherence to the specified formats.